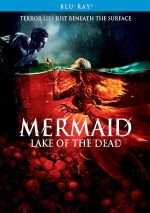 A horror/fantasy out of Russia, 2018’s Mermaid: Lake of the Dead tells of a young woman named Lisa Grigorieva (Sofia Shidlovskaya). She drowns and transforms into an evil mermaid. Centuries later, Roma Kitaev (Efim Petrunin) meets the Mermaid and she falls in love with him. Roma plans to marry Marina (Viktoriya Agalakova), so the Mermaid intends to get rid of her rival and take Roma to her underwater Kingdom of Death. How does one say “jump scare” in Russian? “Jump scareski”? Whatever term one uses, it seems clear that this stale cinematic technique knows no national borders. Dead abounds with tacky stabs at terror that utilize this cliché. Jump scares don’t work any better in Russian than they do in English, so these moments fail to create fright. Instead, they just seem cheap and unimaginative. As does most of Dead, though I guess I’ll temper the “cheap” comment. While the film doesn’t look like an expensive project, it also never feels bargain basement, so it boasts reasonable production values. Unfortunately, it comes with a woefully underdeveloped script that highlights thin characters and limp dramatic moments. As much time as we spend with the leads, we never feel like we know them, and we don’t really care. Both Roma and Marina come across as pretty people but limited personalities, so we fail to attach to them. The movie never gives us much reason to invest in their stories so they stay at arm’s length. None of the actors threaten to elevate the underwritten roles, either. As noted, they’re good-looking, but they show little in terms of cinematic charisma or depth. If Dead managed real tension or drama, the blandness of the actors would matter less, but the film really can’t develop a rhythm or dig into the events. We get material that offers the superficial opportunity for scares but the actual movie can’t explore them in a compelling way. I’ve seen worse horror films than Dead, but that’s what we call faint praise. Slow and without much drama, the film becomes a lackluster enterprise. Mermaid: Lake of the Dead appears in an aspect ratio of approximately 2.35:1 on this Blu-ray Disc. This became an appealing transfer. Sharpness satisfied most of the time. A few shots seemed a wee bit soft, but not to a substantial degree, so most of the movie looked accurate and well-defined. No shimmering or jaggies occurred, and I witnessed no edge haloes or print flaws. Apparently Hollywood Standard Orange and Teal is also Russian Standard Orange and Teal, as those cliché tones dominated the film’s palette. This depressed me, but at least the transfer replicated the hues in an appropriate manner. Blacks seemed deep and tight, while low-light shots demonstrated good clarity. The image seemed pleasing. I also felt happy with the solid DTS-HD MA 5.1 soundtrack of Dead. The mix offered plenty of opportunities for lively auditory information, and it took good advantage of these. Audio quality was also positive. Music sounded lively and full, while effects delivered accurate material. Those elements showed nice clarity and kick, with tight low-end. Speech was always distinctive and concise, too, though some less than stellar looping created minor distractions. Nonetheless, this mix worked well for the film. Note that the Blu-ray also included a DTS-HD MA 5.1 English version of the soundtrack. The dubbed lines suffered from poor integration and even worse performance quality. I got the impression they nabbed “voice actors” off the street and that was that. Even if you loathe subtitles, avoid the terrible English track. In terms of extras, the disc comes with an English-dubbed trailer and nothing else. 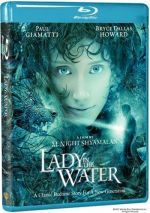 A dark form of fairy tale, the basic premise of Mermaid: Lake of the Dead boasts promise. However, the film itself seems cliché and tedious. The Blu-ray brings very good picture and audio but it lacks supplements. Skip this forgettable horror flick.